Seedles offer a way to regrow the wildflower habitats that support the dwindling bee population. What began as a kind of guerrilla gardening has become a full-fledged plan to repopulate the country’s bee population. “Guerrilla gardeners” have been known to throw balls of seeds and fertilizer into fenced-off spaces, often urban and neglected, to make things greener. 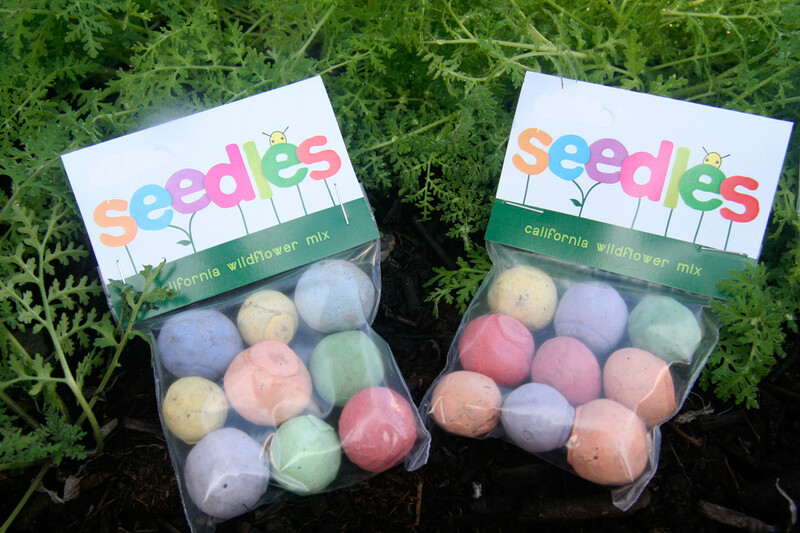 Now, a California company called Grow the Rainbow is officially selling seed bombs, called Seedles, in an effort to support the dwindling bee population. Grow the Rainbow began as a Kickstarter project and science experiment by Ei Ei Khin and Chris Burley, who wanted to find a way to spread bee-friendly wildflowers throughout their community. After raising $11,000, they decided to put up a website and offer Seedles for sale, with a goal of growing one billion wildflowers through their product. Scientists aren’t entirely certain what’s causing the decline in bee population, but many suggest it has something to do with the loss of bees’ preferred wildflowers and habitat. Because of this Grow the Rainbow encourages customers to spread the organic, non-toxic Seedles in hopes of regrowing that habitat. Seedles are mixed with one of six specific regional climates and growing conditions in mind. For example, the Midwest mix could include wild perennial lupine, lemon mint, and butterfly weed. Seeds are rolled in organic compost. Then a non-toxic color powder is added for fun. According to the Grow the Rainbow website, all you have to do is throw the ball on the ground—no digging necessary. In milder climates, fall is the best time to plant. For slightly cooler climates, the site recommends waiting until just after the last spring frost. Khin and Burley hope to incorporate Seedles into the building of more sustainable food options by partnering with local food companies and raising awareness about the connection between bees and food. A pack of 20 seedballs can be purchased on the Grow the Rainbow website for $13.00.